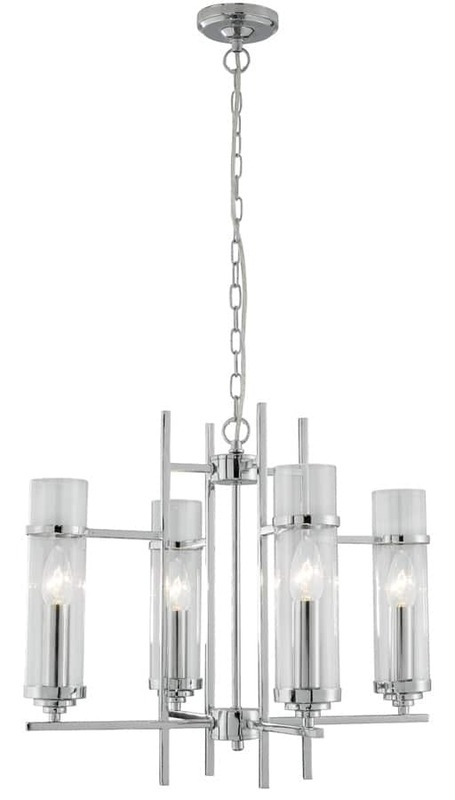 This Milo Art Deco style 4 light pendant features clear glass cylinder shades and is a stylish centrepiece for any room. 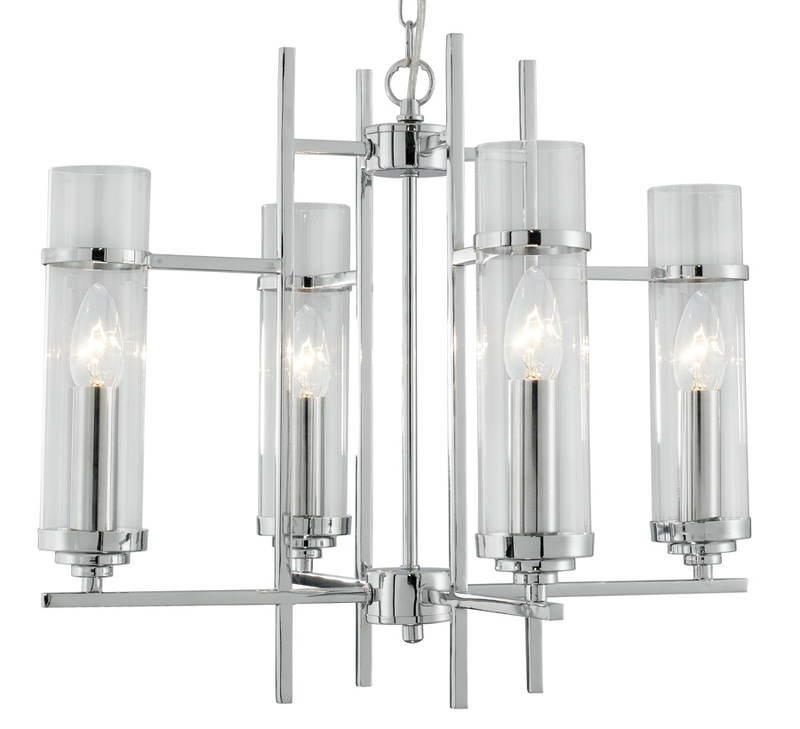 The sleek chrome finish fitting has right angled arms and spokes leading off the central mast, with four beautifully designed cylindrical glass shades. The shades contain candle style light fittings that provide a bright source of light, and the chain suspension can be adjusted to the perfect ceiling height. Chrome ceiling mount and chain suspension supporting a central drop rod and square section chrome bar frame. Four chrome rods radiate from the centre, each with a chrome shade cup and tall cylindrical glass shade. Part of the Milo contemporary lighting range, a chrome finish Art Deco style ceiling light. A lovely inspired design that will be the focal point of any modern or Art Deco setting. Height adjustable at the time of fitting by removing chain links, maximum drop 915 mm.